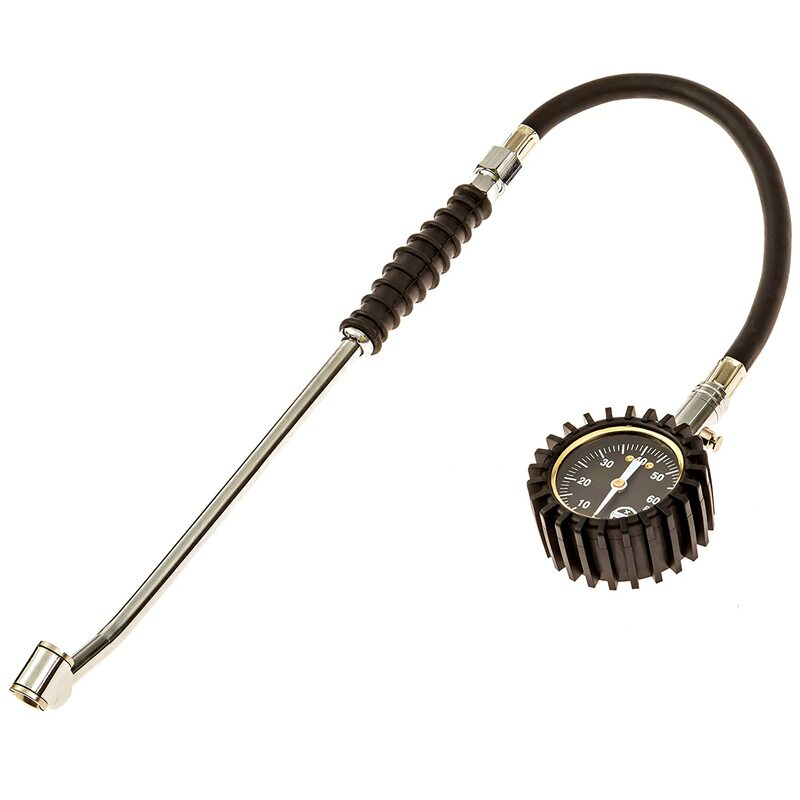 This is the best tire pressure gauge I have owned, and I have owned several of them. Most of the tire gauges I have purchased have been the flimsy ones. This Tire Pressure Gauge Pro Edition is well made. It is sturdy. It looks and feels more like a professional tool. It accurately measures the pressure in tires and can be used for most cars, trucks, and bicycles. It is made from 13 inches of steel tubing and a flexible rubber hose. I love the 2 inch dial because it is very easy to read, so you can read your tire pressure at a glance. The non-slip handle is comfortable in my hand, and I have had no problems with the gauge slipping from the valve when checking my tire pressure. This gauge measures tire pressure up to 60psi, so you can easily tell whether or not you need to add more air to your tires. This is a very useful item, and one that should be in every toolbox.